Whether you drive tractor-trailers, box trucks, flatbeds, or anything in between, if you depend on your truck to drive your business, we can help you protect your livelihood. After just the smallest bit of research, you’ll discover that truck insurance for new drivers isn’t easy. First of all, it’s hard to find. 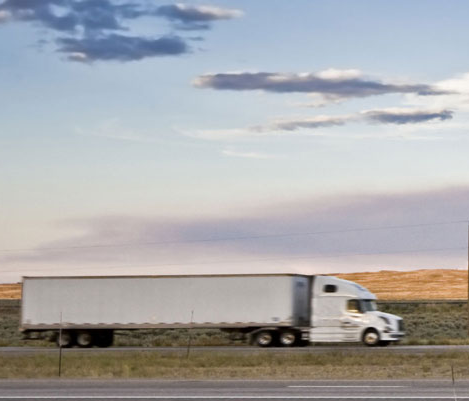 A majority of commercial trucking insurance agencies will simply refuse anyone with less than a few years’ experience driving a commercial vehicle. Secondly, when you do get in touch with one of the few companies that deal with new drivers, you’ll find that their prices are inflated. New truck drivers will often pay 2-3 times as much for insurance as more experienced drivers do. This is the nature of the industry, and it’s not going to change anytime soon. Luckily for you, there are certain steps you can take to tilt the scales back in your favor. You can maintain a clean driving record. You can apply for discounts. And most importantly, you can shop around. Contact us and we’ll research for you, delving into our commercial truck insurance carriers who deal with new drivers. Let us do your work for you. If you’re a company driver, ask your employers which insurances they require. All commercial vehicles on the road need commercial auto insurance. If you’re directly employed by the company and not an independent contractor, the company will provide insurance for you. It’s owner operators who typically need to buy their own coverage. Owner Operators leased on to a motor carrier can often expect their motor carrier to provide them with liability insurance, but this isn’t always the case. Leased O/O are typically responsible for acquiring their own physical damage, cargo, and bobtail insurance. Check with your motor carrier and reread your lease agreement to ensure you get the coverages you need while avoiding paying extra for coverages you already have. Owner Operators with their own authority are responsible for getting it all—liability insurance, physical damage, cargo, and non-trucking liability insurance. There are several other coverages you should consider, which we’ve included in the list below. Liability Insurance – Pays for damage done to the property of others when you’re at fault in an accident. Almost all states require a $1,000,000 limit. Cargo Insurance – Pays for damage done to the goods hauled in your trailer. Almost all companies and motor carriers require you to carry cargo insurance for their types of goods. Bobtail/Non-Trucking Liability Insurance – A type of liability insurance that covers your tractor when it’s disconnected from a trailer. Loading and Unloading Coverage – Cargo insurance doesn’t always cover goods when they’re being loaded into your trailer. This coverage fills in that gap. Combined Deductible – Following a major accident, without a combined deductible, you are responsible for paying the deductible of all your individual coverages. With a combined deductible, you only have a single amount to pay. Loss Mitigation – Any further loss after an accident is covered with this coverage. Debris Removal – This coverage pays for removal of cargo spilt after an accident. Earned Freight – This insurance pays you back any lost income if you’re in an accident and your shipment can’t be delivered.